This is the first leg of our trip and we sail from the city of Puerto Princesa, Palawan. 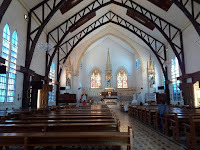 However, we must first all meet in the City of Cebu on Cebu Island. The reason is there is a chance immigration may need to take your photograph when they stamp your passport. The vessel must clear out of Cebu, since the vessel cleared into Cebu. The good thing about this is you get a chance to see two of the most popular cities in the Philippines. Day 1: September 30, 2018 Arrive Cebu Mactan airport (CEB). Take a taxi to the Big Dreams Residence Hotel where we will all meet for dinner. Note: You may want to arrive earlier. Some crew members may go to swim with the whale sharks at Oslob on Cebu Island. If you wish to go on this excursion trip, you should arrive in Cebu on September 28th or sooner. 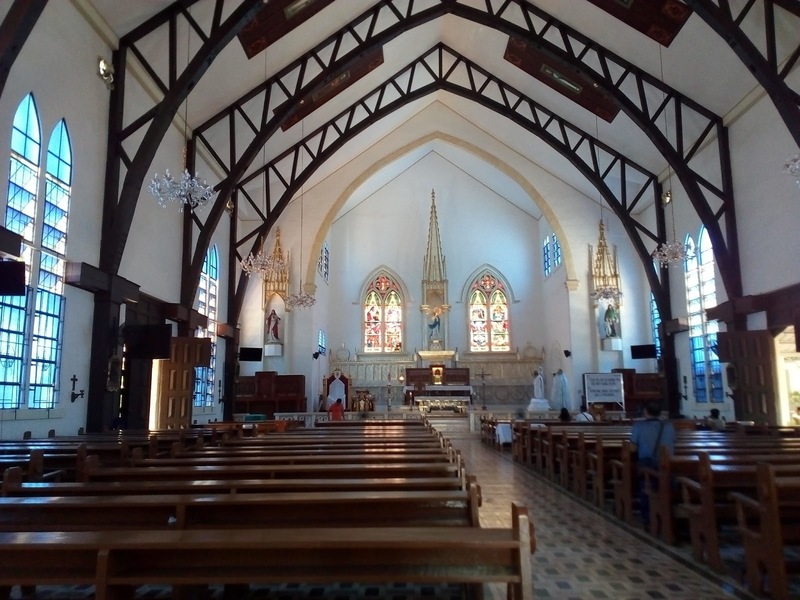 Day 2: October 1, 2018 After the paperwork is completed in the morning, you are free to check out the City of Cebu and explore the Spanish Cathedral, and Spanish Fort. Our dinner choices include the food court at one of the world's largest shopping malls. Food court? Well, you have never seen a food court like this one. Day 3: October 2, 2018 Flight to Puerto Princesa. Air Asia 13:40-14:55 Flight Z2 545 Move aboard yacht and welcome dinner at Abanico Yacht Club. Day 4: October 3, 2018 Optional van ride to Puerto Princesa Underground River National Park or Tour of Puerto Princesa, or kayak the mangrove forest looking for kingfishers. Day 5: October 4, 2018 Mid-morning sailing and day and night at sea. Day 6: October 5, 2018 Arrive Balabac Island and night in Port of Balabac. Day 7: October 6, 2018 Tour of Balabac Island. This is a good place to do SCUBA diving and crew aboard have gone to a private island and had a fantastic experience last time. Day 8: October 7, 2018 Day and night at sea. Day 9: October 8, 2018 Arrive Kota Kinabalu Mayalsia, Sutera Harbour Resort. Olympic sized swimming pool, hot tub, and bowling alley. They even have a golf course. Day 10: October 9, 2018 Immigration check-in and optional bowling night. Day 11: October 10, 2018 Optional road trip to Poring Hot Spring on Mount Kinabalu. You are welcome to spend the night aboard if you fly out on October 11th, 2018. Notes: Before you are allowed to board a plane to the Philippines, you may need proof of an airplane ticket leaving the Philippines. Unfortunately, it is one of the costs today of travel by private boat and even yacht owners are not able to escape it without official letters from immigration. Suggest buying a cheap ticket on Air Asia from Cebu (CEB) to Kota Kinabalu (BKI) about 6 months out. It should be the least expensive option. If you are not continuing on the trip after Kota Kinabalu please make your reservations to leave after 5 pm on October 10, 2018 to allow for weather delay or delay in paperwork upon entry.